Mark your calendars for November 28th to get an inside track on how to make smarter business decisions. Join us for the new webcast “Driving Smarter Decisions with Microsoft Big Data”, presented by Mike Flasko, Principle Program Manager at Microsoft and IDG Enterprise. Watch the webcast at www.CIO.com on November 28th and you can earn a chance to win one of three Executive Gift Packs (includes a SQL Server branded jacket, a SQL Server branded laptop case and a non-branded USB hub) through our Sweepstakes Drawing or one of three Xbox/Kinect bundles by participating in our Skills Contest. Watch the Microsoft Big Data Webcast in its entirety on November 28th between 6am PT and 5 pm PT. Log in to your Twitter account. If you do not have a Twitter account, you can register for a free account by visiting Twitter.com. Follow @SQLServer on Twitter to be eligible. Watch the Big Data Webcast on November 28th between 6 am and 5 pm PT. During the course of the day, three questions relating to the Big Data Webcast will be posted via @SQLServer on Twitter. Reply with the correct answer to @SQLServer and include the hashtag #bigdatawebcast in your reply. You may only answer each question one time. If you submit more than one answer to a question, all of your responses (including your first) will be disqualified. There is a limit of one Challenge prize per person. The six winners of the Big Data Webcast Challenge will be announced at 5 pm PT on November 30th via @SQLServer on Twitter. This Challenge is open to all eligible participants worldwide. If you are unable or choose not to accept the prize, the prize will be awarded to an alternate winner. See full contest rules below. By participating in the “Big Data Webcast Challenge” (the “Challenge”) ”, you understand that these Official Rules are binding and that the decisions of Microsoft Corporation (the “Sponsor” who may also be referred to as “Microsoft”, “we”, “us”, or “our”) are final and binding on all matters pertaining to this Challenge. The Challenge includes a skills contest and sweepstakes drawing as described more fully below. It is your responsibility to review and understand your employer’s policies regarding your eligibility to participate in trade promotions such as this one. If you are participating in violation of your employer’s policies, you may be disqualified from entering or receiving prizes. Microsoft disclaims any and all liability or responsibility for disputes arising between employees and their employers related to this matter. Prizes will only be awarded in compliance with the employer’s policies. You are NOT a resident of any of the following countries: Cuba, Iran, North Korea, Sudan, or Syria. You are NOT an immediate family (parent, sibling, spouse, child) or household member of a Microsoft employee, an employee of a Microsoft subsidiary, or a person involved in any part of the administration and execution of this Challenge. ENTRY PERIOD: The Challenge begins at 6:00 a.m. Pacific Time (PT) on November 28, 2012, and ends at 5:00 p.m. PT on November 28, 2012. (“Entry Period”). To receive one entry into the sweepstakes drawing, watch the Microsoft “Big Data” Webcast on November 28th between 6 am PT and 5 pm PT. For finishing the webcast in its entirety, you will receive one entry into the Sweepstakes. Limit one entry per person. To enter the skills contest, you must be logged into your Twitter account and you must be a follower of @SQLServer to be eligible. If you do not have a Twitter account you can register for a free account by visiting Twitter.com. Then visit www.CIO.com, log in to the Microsoft “Big Data” Webcast on November 28 from 6am-5pm PT. During the course of the day on November 28th between 6 am PT and 5 pm PT,, three questions relating to the Microsoft “Big Data Webcast” will be posted via @SQLServer on Twitter. Reply to @SQLServer with the correct answer and include the hashtag #bigdatawebcast. Limit one entry per person per question. We are not responsible for entries that we do not receive for any reason. We reserve the right to modify the Webcast schedule for any reason. Sweepstakes: On or around November 30, we, or a company acting under our authorization, will randomly select three winners from among all eligible sweepstakes entries received to win a prize package consisting of the following items: A SQL branded hoodie, a branded Laptop bag, and a non-branded USB hub. Approximate retail value, ARV, $150. 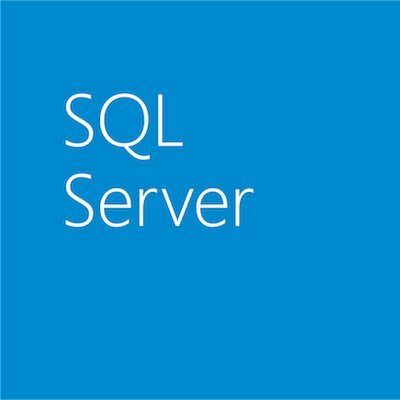 Contest: The first eligible entrant to reply to @SQLServer on Twitter with the correct answer to each question will win an Xbox 360 4GB with Kinect. ARV, $299 each. Three contest prizes will be awarded, one for each question. The Xbox/Kinect bundle are US versions. Limit one Challenge prize per person. If you are a potential winner, we will notify you through your Twitter account, e-mail address, or the telephone number provided when you registered within 3 business days following the random drawing. If the notification that we send is returned as undeliverable, or you are otherwise unreachable for any reason, we may award the prize to an alternate, randomly selected winner. Winners will have seven (7) days to reply to the notification; otherwise an alternate, randomly selected winner will be determined. Your odds of winning this Challenge depend on the number of eligible entries received. ·You understand that all prize details shall be determined by us. You may be required to sign and return an Affidavit of Eligibility and Liability/Publicity release, unless prohibited by law, within ten (10) days of date of prize notification. If you are the winner and you: (i) do not reply to such notification or the notification is undeliverable; (ii) do not return the Affidavit of Eligibility and Liability/Publicity release completed and signed within ten (10) days of date of prize notification; or, if you (iii) are not otherwise in compliance with these Official Rules, you will be disqualified and, we may, at our discretion, notify a runner-up. If you are a winner and accept the prize, you agree that we and our designees shall have the right to use your name, city and state of residence in any and all media now or hereafter devised worldwide in perpetuity, without additional compensation, notification or permission, unless prohibited by law. Equipment, software, network or systems that fail, have viruses or other problems, are breached or that cause injury or damage to participants or their property. By entering this Challenge, you agree to, and hereby release and hold harmless Microsoft, its parent company, affiliates, subsidiaries, and advertising or promotion agencies, and anyone working directly on this program, product and promotion, and all of their respective officers, directors, employees and representatives (which for the purpose of these Official Rules will be referred to together as the “Promotion Parties”) from any and all liability or any injuries, loss or damage of any kind arising from or in connection with this Challenge or acceptance and use of any prize. No responsibility is assumed by Microsoft for lost, late, or misdirected entries or any computer, online telephone, or technical malfunctions that may occur. All entries become the property of Microsoft and will not be returned. GENERAL CONDITIONS: This Challenge is governed by Washington law. You agree that the jurisdiction and venue for the handling of any disputes or actions arising out of this Challenge shall be in the courts of the State of Washington. If, for any reason, the Challenge is not capable of running as planned for any reason, including, without limitation, the reasons set forth above, we reserve the right at our sole discretion to cancel, terminate, modify or suspend the Challenge. If a solution cannot be found to restore the integrity of the Challenge, we may, at our sole discretion, determine the winners of this Challenge, using all non-suspect, eligible customer redemption reports and/or entries received (as applicable) before we had to cancel, terminate, modify or suspend the Challenge. We may disqualify you from participating in the Challenge, or winning a prize (and void your participation in the other promotions we may offer) if, in our sole discretion, we determine you are attempting to undermine the legitimate operation of the Challenge by cheating, deception or other unfair playing practices, or intending to annoy, abuse, threaten or harass us, any other entrant or our representatives or if you are otherwise not in compliance with the terms of these Official Rules. CAUTION: ANY ATTEMPT BY YOU OR ANY OTHER INDIVIDUAL TO DELIBERATELY DAMAGE ANY WEBSITE OR UNDERMINE THE LEGITIMATE OPERATION OF THE CHALLENGE IS A VIOLATION OF CRIMINAL AND CIVIL LAWS AND SHOULD SUCH AN ATTEMPT BE MADE, WE RESERVE THE RIGHT TO SEEK DAMAGES FROM YOU TO THE FULLEST EXTENT PERMITTED BY LAW. To find out if you won, requests can be emailed to v-hesuk@microsoft.com for 30 days following the drawing. SPONSOR: This Challenge is sponsored by Microsoft Corporation, One Microsoft Way, Redmond, WA 98052.